JayHawk Auto Transport is committed to providing customers with a fast and worry-free auto transport experience. They are dedicated to treating your vehicle with the best care possible. They even have an A+ rating with the Better Business Bureau. JayHawk Auto Transport is ready to help you with any vehicle transporting needs you may have. They know they are not the cheapest option out there, but they are honest, reliable, and they are committed to shipping your vehicle to its final destination in a timely manner. They suggest that you plan ahead because the more advance notice you can give, than your vehicle is more likely to move through the system smoothly and stress-free. 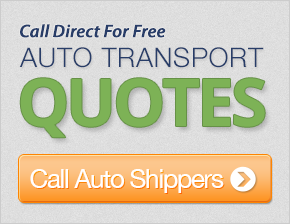 They offer door-to-door service to make your auto transporting even easier. Once you are serious about shipping your vehicle and you choose JayHawk Auto Transport go online to get a free quote. Someone will be in touch with you as soon as possible to answer any questions you may have and discuss the details to get started. JayHawk Auto Transport requires a deposit to ensure that they have exclusive shipping rights to your vehicle. Their payment options are simple, and you can even access your order, check the status of your vehicle, and pay online. It was great to deal with honest people. My customer support rep was helpful and patient with my questions, and the experience was very positive. The driver was polite and on time, and he delivered the car in a very professional way. You have a good company and I would always be happy to recommend your service to others. Thanks for a good job. They were receptive and responsive to my personal needs regarding transportation of my car. They were awesome, and I would definitely use this service again to transport my 1965 Mustang. Thanks so much and best regards! The driver was excellent; he kept in contact with me from his truck. As to the arrival time, he was true to his word. I would use this company again if I had the need to! I found service to be extremely helpful and honest. Their information was accurate, and they responded promptly whenever I had a question. Your organization did a great job for me. Thanks again! Service was very helpful. Even after the car was dispatched, they were able to help me with arrival issues. We were very pleased. Customer support was very helpful and professional. She followed up with me frequently, and helped get the job done. Thank you for helping my Mom get her car. Our support person was very polite and helpful with my request, as was the driver at expediting the delivery process. They very kind and very helpful to me, as this was my first time to ship a car. They were very patient with me, and, after all the questions I kept asking them, they were still cheerful and very pleasant. Thanks! Quick, fast service. Thank you! Driver called as he promised. My car was delivered in very good condition - the same as it was picked up in in Atlanta. I would recommend this company to anyone. Customer service was excellent to work with. They were very professional, and they went above beyond to keep in touch with me throughout the entire process. Thanks! The driver contacted me and kept me updated on where he was and when my car would be picked up. Once the car was in route, he contacted my son with an update on the exact time he would arrive with the vehicle. He was caught in traffic and again contacted my son to update him. This was such a great experience. The move went well, and the driver was good, thanks! Thank you very much - good job! I was very satisfied with the way the car was transported - thank you! Customer service was most helpful and professional. Excellent service and I got the best rate out there! Thanks! My customer service representative was very positive and eager to assist. Thanks! Our customer service representative was very professional and provided excellent customer service.